Colorado Springs, CO —– The American Trail Running Association (ATRA) announces Marathon Printing, Inc., as the newest partner in their Event Standards Program. ATRA introduced its Event Standards Program in 2012, and recently has included vendors and suppliers as partners to further assist trail race directors in meeting ATRA’s 15 criteria necessary for staging a safe and well-organized event. 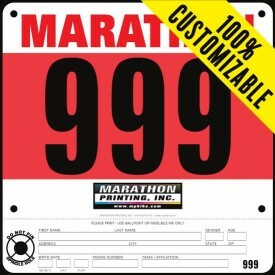 Marathon Printing, Inc., joins imATHLETE, and Trail Run Project as partners in the Event Standards Program. ATRA is a non-profit 501 (c) 3 corporation based in Colorado. Founded in 1996, ATRA’s mission is to represent and promote trail and mountain running. ATRA’s many programs include a comprehensive online calendar of trail and mountain running events, a quarterly newsletter – Trail Times, and monthly e-blasts with current information about the sport. ATRA will again partner with Active at Altitude for the fourth annual US Trail Running Conference slated to be held September 28-October 1, in Estes Park, CO. Additionally, ATRA is the fund raising arm for the U.S. Mountain Running Team.